Heavenly blog! : Nr. 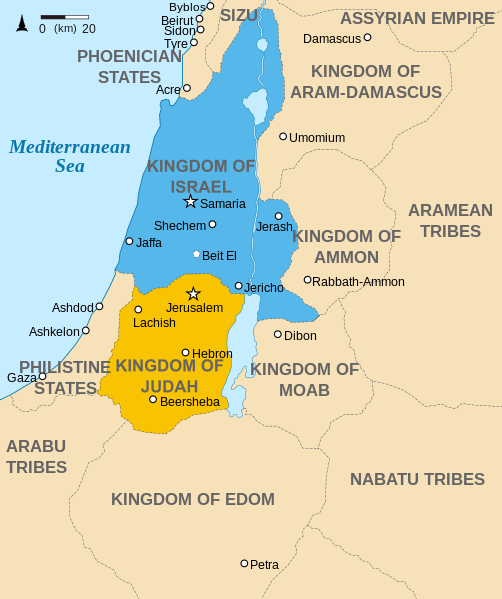 409: I had a strange dream where a person came and said to me that I and my wife belonged to two of the ten lost tribes of Israel, it was Zebulun and Naphtali! Nr. 409: I had a strange dream where a person came and said to me that I and my wife belonged to two of the ten lost tribes of Israel, it was Zebulun and Naphtali! I had a strange dream where a person came and said to me that I and my wife belonged to two of the ten lost tribes of Israel, it was Zebulun and Naphtali! Jer dreamed that a person came to me and said that my wife and I belonged where a person came and said to me that I and my wife belonged to two of the ten lost tribes of Israel, it was Zebulun and Naphtali! I said no it can not be. But he reiterated that, I think twice, and he was gone. This is from Wikipedia: Zebulun according to the Bible is the tenth of the patriarch Jacob's twelve sons, and one of the twelve tribes. The name in Hebrew means "gift". (1 Mosebog 30:20) tribe got an area northeast of the country. I will not emphasize this dream as a revelation from God, but there is something exciting and Trooper full! We do not know with 100% certainty how the ten lost tribes have taken the road, although there are strong assumptions and evidence that the ten lost tribes live here in Europe, not least in Northern Europe?! In ancient times, formed a tribe allied families, tribes and later developed into nations. Family history therefore often leads to the study of a nation's origins - have to dig back to its roots. One way to return to a family or a nation, is to begin with what is known in our times, and then pull the thread back through the centuries to the mysterious or unknown past. What do archaeologists, historians and classical authors about the people who settled in Scandinavia? Some of the best sources are rare books found only in the best libraries in the world. In these many and varied historical documents to apply for four important information: names, dates, places and relationships. The school teaches children about European Vikings, Danes, Jutes and Normans - Scandinavians of recent times. Viking age (800-1050 AD) was an important period of early Scandinavian history. There was a time when the Vikings spread throughout Europe and as far away as Iceland, Greenland and North America. Earlier Tacitus wrote about the people of Scandinavia. He called one of their tribes Suiones. They were known for their powerful fleets. "Deras Skepp ARO säregna därigenom, again they have spelled both Andar och sålunda always ARO att klara lägga till" (Sveriges story of Ingvar Andersson). This is an apt description of the Viking ships. Suiones mentioned by Tacitus was also known as Swedes. Word Swedes or Sviar is constantly used in the sagas to describe the inhabitants of Sweden. The name "Sweden" will accordingly from Svea kingdom Swedes kingdom. Swedes were rich territory around Lake where Stockholm is today. Kingdom of their "called Lillesvitjod, or Scythia, where they came from" (Scandinavia by Andrew Crichton and Henry Wheaton, Volume 1, p.79). Storeskytia the area around the Black Sea and the Caspian Sea. In his book History of the Northmen tell Henry Wheaton that the Swedes came to Scandinavia, found a land that was already inhabited by "the Goths, who had emigrated thither, veiled eyes of history." Siding Paul begins his history of Scandinavia: "The present inhabitants of Denmark, as well as in Norway and Sweden, are successors of the Gothic tribe formerly lived around the Black Sea" (scandianvian Races, p.19). Note that both the Swedes and the Goths came from the Black Sea region. At the mouth of the Danube on the west coast we find areas in Roman times Getae and Dacia. According to Procopius, who wrote his history in the 5th century, Romans that "Goths are of Getic race" (5.bok 24, 30). Getae are mentioned in the history of Herodotus (5th century BC. BCE). In George Rawlinson, his brother Sir Henry this footnote: "the Getae is identical to the later Goths are more than a plausible conjecture. It may be regarded as historically certain" (1862 ed., 3 volumes p.84). Jordanes, the best-known Gothic historian, labeling always Gether and Goths as one people. He calls them "Scythians". We find more evidence in other historical accounts. For example: "Duty Ernes records claim that Scythians and Goths had common ancestry" (The Races of Ireland and Scotland by WCMackenzie, p 216). Testimonies indicate that the Getae were the same people as the Dacians. According Stabo spoke the same language (7, 3, 13). Pliny says that the Romans called Getae for Dacians (4th book 21, 80). Duchesne, who collected the Norman norum scriptores antiqui in 17th century, has no doubt that the Normans were Dacians, and consistently Beneva in his introduction. Dudo, who wrote the earliest history of the Normans in the 10th century, was also not in doubt that they came from Scythia on the Danube. He also said that they were Dacians. Swedes and Goths were not the only founders of the great Nordic race. We also need to take form, Jutes and kimbrer considered. Cimbri gave their name to Jutland / Holstein part of Denmark. It was formerly called Cimbrica Chersonesus or the kimbriske peninsula. Where does kimbrene from? When Henry Long wrote about the early geography of Europe, he was in no doubt when he wrote: "Strabo (7, 2, 2) tells us that kimbrene called cimmerii [Sumer] by the Greeks. During this term, we find them in two different locations in the northwestern and northeastern extremities of the then known world - the peninsula of Jutland upon the German Ocean [Baltic Sea] and in Tauris in the Black Sea "(Early Geography of Western Europe, 1859, p.70-71). "Kimbrene were eventually expelled by the Scythians, and migrated westward into Europe. After long wanderings they came to Chersonesus, called Kimbria after them. Danes, who were called Dacians and Gether by Ptolemy, soon invaded that part of the peninsula, which this day called them Jutland. they mingled with the Cimbri and formed a people in ancient times was called himbersyssel "(s.415). The term "Scythians" is sometimes used by historians to a particular people and sometimes to all the nomadic tribes in the vast area north of the Black Sea and the Caspian Sea. It is in this area we can find the roots of the Nordic people. The Sumerians were the oldest inhabitants of Scythia. Their history can be traced back to near the end of the 8th century BC in Assyrian history. A collection of letters preserved in Ashurbanipal's library tells us about events in Urartu area of ​​Armenia in the years 707-706 BC In this collection were reports from Assyrian border posts. One of them says that the king of Urartu went into "the land Gamir" and had to be forced back. For many years studying ED Phillips nomads of Scythia history. He said that the Sumerians "comes late in the 8th century on the northern border of the kingdom of Urartu as Gimirrai or Gamir in Assyrian records" (The Royal Hordes, Nomad Peoples of the Steppes, p.52). Other historians agree that Gimirrai or Gamir were Greeks Cimmerians. There is also a connection to the biblical Gomer in Hosea's prophecy. Note that the prophet Hosea married a woman named "Gomer" (Hos.1: 3). She represented infidelity and slavery to the ten tribes of Israel (chapter 3). This prophecy indicates that Israel's ten northern tribes were also called "gomer" while they were in captivity. The Israelites were actually called gomerere or Cimmerians. Tiglath-Pileser III was the first king of Assyria invaded northern Israel. He deported the Israelites to Assyria in the reign of Pekah (2.Kong.15: 29). This event affirmed in ancient Assyrian records. Tiglath-Pileser III's inscription says: "The country Bit-Humria, all its people and property, I brought to Assyria" (Records of Ancient Babylonia and Assyria by Luke Bill, Volume 1, Sec. 816). Historians have found exiled Israelites mentioned in ancient records because the Assyrians did not call them "Israel". They called them "Bit-Humria" or "Bit-Khumri". Why? The name means "land of Omri." They probably used that name because Omri built Samaria as the capital of northern Israel (1.Kong.16: 24). Omri was first stated "Ghomri" according to Dr. TG Pinches in his book Assyria and Babylonia (page 339). Therefore, the Assyrian name of the Israelite captives Beth-Omri, Bit-Khumri, Bit-Humri and Bit-Ghumri. Ghumri or Ghomri later known some "Gamera." At the time Esarhaddon (681-669 BC) Ghomri written as Gimirrai (Gimirrai). Assyrian records say the Gimirrai or Gamir lived in northern Media in 707 BC - In exactly the same place as some of the Israelites were placed in captivity only 14 years earlier. Shalmaneser V was the Assyrian king who finally besieged Samaria. He took the Israelites into captivity and placed them by Haborelven and in the cities (2.Kong.17: 6). In any case, a Swedish historian understood the truth about what happened to their descendants centuries later. In his scientific Svea kingdom Historia Dalin says "hardening Scytherne which kallades Vodiner or Budiner," came to the Swedish islands around 400 BC because of pressure from Philip and Alexander of Macedon. He said that another race, a mixture of Scythians, Greeks and Hebrews joined with them. They were called Neuri and according to Dalin ancestors of the Finns, Lapps and Estonians. "About Neuri," by Dalin, "should the Market, they synas Wara öfverlefvor af the thio Israel slaughtered, that Shalmaneser Konung of Assyria förde Fånga ur Canaan .... När Mon temper, Huru mycket the old Finnars, Lappars and Esther language comes öfverens with Hebræiskan och äfven, that this people prejudiced från the first March räknat Åhrén början och Saturday for his Sabbath, one will find that Neurerne after all likeness haft the upprinnelsen "(Svea kingdom Historia, 1747, 1st bind p.54-44). The inscription on the rock cliff at Behistun in northern Persia is a key to interpreting the languages ​​of the ancient East. It also gives us a clue as to the names Israel bore in captivity. The inscription gives the name of the 23 provinces that were under Darius Hystaspes in three languages. In the Persian and susianske inscription is one of the provinces listed as "Scythia" (Saka). But in the Babylonian inscription is the same province called "Kimmeria land", translated from "gimiri". Sir Henry Rawlinson, who first copied and translated the inscription, believed that the name "gimiri" was the Babylonian word for "tribe" (History of Herodotus, translated by George Rawlinson, 1882, 3 volumes s.183). Sir Henry said that "we have reasonable grounds for regarding the Gimiri or Cimmerians, who first appeared in Assyria and Media in the seventh century BC, and Sacae of Behistun Rock nearly two centuries later, as identical with" Israel "(Great Britain's Rank Among the Nations by Adams, p.61). This is the startling truth! Israel was captive in Assyria and Media. During his captivity, their language and customs changed. 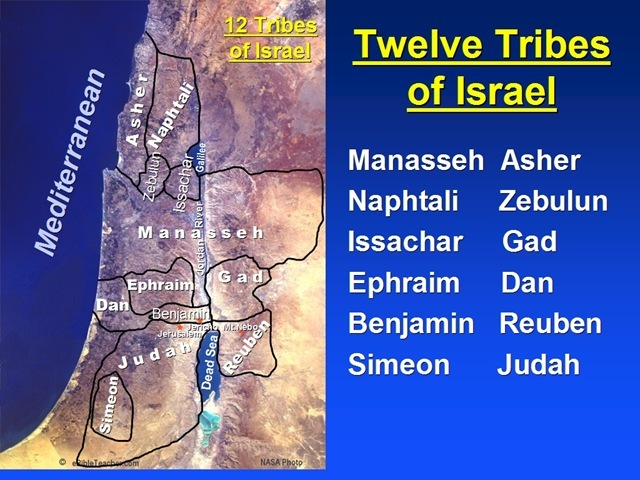 Israelites became known by different names. They were called Gimirrai, Cimmerians and Scythians. PERS called all Scythians "issues". Some of the ten tribes were driven into the Caucasus Mountains between the Black and Caspian Seas. After they left the mountains, they went to northwestern Europe as the Cimbri, Celts, Danes, Normans and Saxons. As a race, they were called "Caucasian". Pliny says that Sacae who settled in Armenia (south of the Black Sea), was called "Sacassani" (6 book 19). They called their part of Armenia for "Sacasena", which is almost identical to Saxony. Ptolemy also mentions a Scythian people called "Saxons". Anglo-Saxons are British ancestors. Both the British and Scandinavian roots therefore go back to Scythia. They are kindred nations with a common origin. No wonder it's Scythian elements in both the Vikings and Celts (The Scythians of TTRice, s.178). Not all Scythians were Israelites. But we know that certain of Israel - the northern tribes - lived in the Scythian area in the 1st century. The Apostle James wrote a letter to them (Jak.1: 1). The Apostle Peter did the same. He specifically mentions the provinces south of the Black Sea, where they were living as "foreigners" and femme (1.Pet.1: 1). The Jewish historian Josephus wrote his history of the same era. In the last 25 years of the 1st century, he said, "the ten tribes on the other side of the Euphrates till now, and they are exceedingly numerous multitude which can hardly be counted" (Antiquities of the Jews, book 11, 5, 2). Though many Israelites had already migrated into northern Europe, many were still in Scythia when Josephus wrote. 5Mos 33:23 And of Naphtali he said, O Naphtali, satisfied with favor, and full with the blessing of the Lord - the West and the South to take him to possess! 1 Kings 7:14 He was the son of a widow of the tribe of Naphtali, and his father was a man of Tyre, a worker in brass. He was filled with wisdom and understanding and skill, so he could work all works in brass. He came to King Solomon and did all the work he would have done. 1 Kings 4:15 Ahimaaz in Naphtali he too had taken the daughter of Solomon to wife: she Basemath; Dom 7:23 And the men of Israel Naphtali, Asher and all Manasseh were called together and pursued the Midianites. Dom 5:18 Zebulun is a people who despise their life until death, likewise Naphtali on the mountain. Dom 6:35 And he sent messengers throughout all Manasseh, and they also gathered and followed him: and he sent messengers to Asher and Zebulun and Naphtali, and they came to meet them. 1Krøn 2:2 Dan, Joseph, and Benjamin, Naphtali, Gad and Asher. 1Krøn 6:62 And the children of Gershon according to their families were thirteen cities of Issachar, from the tribe of Asher, from the tribe of Naphtali and the tribe of Manasseh in Bashan. Ezekiel 48:3 And along landmark Asher, from the east and to the west, Naphtali, one portion. Revelation 7:6 the tribe of Asher twelve thousand, of the tribe of Naphtali twelve thousand, of the tribe of Manasseh twelve thousand, 2 Chronicles 34:6 And throughout Manasseh and Ephraim, and Simeon, even unto Naphtali cities gjennemsøkte his houses, 1Krøn 27:19 Zebulun Jismaja Obadiah son of Naphtali, Jerimoth the son of Azriel 1Krøn 6:76 and of Naphtali, Kedesh in Galilee with its suburbs, and Hammon with her suburbs, and Kiriathaim with fields. 1Krøn 12:40 Moreover those who were closest to them, just to Issachar and Zebulun and Naphtali, brought bread on asses, and on camels, and on mules, and on oxen, flour, fig cakes and raisin cakes and wine and oil, and oxen, and sheep in abundance: for it was joy in Israel. Dom 4:10 And Barak summoned Zebulun and Naphtali together to Kedesh, and ten thousand men went up after him: and Deborah went with him. Dom 1:33 Naphtali did not drive out the inhabitants of Beth-shemesh, or the inhabitants of Beth-Anath, but dwelt in the midst of the Canaanites who lived in the country, and the inhabitants of Beth Shemesh and Beth Anath became notifiable work under them. 4Mos 1:43 Those that were numbered of the tribe of Naphtali, were fifty and three thousand and four hundred. 4Mos 2:29 Likewise Naphtali: and the prince of the children of Naphtali is Ahira son of Enan, 4Mos 1:15 of Naphtali: Ahira son of Enan. 2Mos 1:4 Dan, and Naphtali, Gad and Asher. 1MOS 35:25 And Rachel's maid Bilhah sons: Dan and Naphtali. 1MOS 49:21 Naphtali is a hind playful; fair is the word he speaks. 4Mos 10:27 And the prince of Naphtali tribe was the offering of Ahira son. 4Mos 1:14 p.m. for Naphtali Nahbi, Vofsis son Jos 9:32 p.m. and the tribe of Naphtali: Kedesh in Galilee, that city of refuge for the slayer, with its suburbs, and Hammot-Dor and its suburbs and Kartan its suburbs - three cities. 1MOS 30:8 And Rachel said, I have fought God's battles with my sister, and I have won. And she named him Naphtali. Jos 21:6 Gershon were allotted thirteen towns of Issachar tribe of Asher, from the tribe of Naphtali, and out of the half tribe of Manasseh in Bashan. Jos 20:7 So they sanctified Kedesh in Galilee in the Naftali Mountains and Shechem in mount Ephraim, and Kirjath-Arba, which is Hebron, in the Judean Mountains. 5Mos 27:13 And these shall stand on Mount Ebal and bright curse: Reuben, Gad, and Asher, and Zebulun, Dan and Naphtali. Dom 4:6 She sent and called Barak himself, Abinoam son, from Kedesh in Naphtali and said to him: Hear what the Lord God has commanded: Go, go up to Mount Tabor, and take with thee ten thousand men of Naphtali and of the children of Zebulun? 5Mos 33:18 And of Zebulun he said, Rejoice thee, Zebulun, in your excursion, and you, Issachar, in your tents! 1Krøn 12:40 Moreover those who were closest to them, just to Issachar and Zebulun and Naphtali, brought bread on asses, and on camels, and on mules, and on oxen, flour, fig cakes and raisin cakes and wine and oil, and oxen, and sheep in abundance: for it was joy in Israel. 1Krøn 12:33 of Zebulun men who went into battle and was prepared for war with all sorts krigsvåben, fifty thousand, the county him to the punch with hearts without guile; 1Krøn 2:1 These were the sons of Israel: Reuben, Simeon, Levi, Judah, Issachar, and Zebulun, Dom 6:35 And he sent messengers throughout all Manasseh, and they also gathered and followed him: and he sent messengers to Asher and Zebulun and Naphtali, and they came to meet them. 1Krøn 27:19 Zebulun Jismaja Obadiah son of Naphtali, Jerimoth the son of Azriel Ezekiel 48:26 And along landmark Issachar, from the east side to the west side, Zebulun, one portion. 2 Chronicles 30:18 For a multitude of the people, many from Ephraim and Manasseh, Issachar, and Zebulun, had not cleansed themselves, but ate the Passover without observing what was prescribed, but Hezekiah prayed for them, saying, Lord, who is good will forgive 2 Chronicles 30:11 It was now only a few of Asher and Manasseh and Zebulun humbled themselves and came to Jerusalem. 2 Chronicles 30:10 couriers went about from town to town in Ephraim and Manasseh even unto Zebulun: but they laughed them and mocked them. Dom 5:18 Zebulun is a people who despise their life until death, likewise Naphtali on the mountain. Dom 4:10 And Barak summoned Zebulun and Naphtali together to Kedesh, and ten thousand men went up after him: and Deborah went with him. 4Mos 1:9 Zebulun: Eliab the son of Helon, 2Mos 1:3 Issachar, Zebulun, and Benjamin, 1MOS 49:13 Zebulun - by the seashore he will stay at the beach where the ships landed, his hand toward Sidon. 1MOS 35:23 The sons of Leah: Reuben, Jacob's firstborn, and Simeon, Levi, Judah, Issachar, Zebulun. 5Mos 27:13 And these shall stand on Mount Ebal and bright curse: Reuben, Gad, and Asher, and Zebulun, Dan and Naphtali. Jos 7:27 p.m. Then it turned him eastward to Beth-Dagon, support of Zebulun and Iphtah-El-valley, the north of Beth-Haemek and Ne'iel, and went forth to Kabul in the north. 1MOS 30:20 And Leah said, God has given me a great gift, and now comes my husband dwell with me, because I have borne him six sons. And she called his name Zebulun. Dom 1:30 Zebulun did not drive out the inhabitants of Kitron, or the inhabitants of Nahalol but the Canaanites dwelt among them, and became mandatory. Jos 7:34 p.m. Then turning his border west to Asnot-Tabor and held until Hukkok and support in the south to Zebulun, and to the west of Asher, and in the east to Judah at the Jordan. Dom 5:14 By Ephraim went down, those that have their root in Amalek; after thee, Benjamin, among your people: of Machir rulers step down and out of Zebulun they that go forth with hærførerstav.